So after an eventful rush to the end of 2009, we’ve come to, well, the end of 2009. And that also means the end of the Vocaloidism Awards. We have the winners for the big big awards, plus some well-wishes from some of our staff. If any of that interests you, come inside. First off, another big thanks to everyone who voted. Another 600 votes were tallied and here’s how they fell. The winner is unsurprising. The results are. Yuki and Sonika were on 0 for so long, I felt bad. This was close for a while, but minato pulled away from Hachi and samfree in the end to claim the win. While I don’t necessarily see this as a Bad Thing, we only have ourselves to blame. So congratulations to the winners, nominees, and the voters. Before we go into 2010, we at Vocaloidism have a few things to say. They’re good things, I promise. …I think I lost my jolly soul somewhere between Thesis, Internship, getting my art skills bashed by Krystal, and the recent sibling argument between V-ism and VO. But that’s beside the point..
2007: Who’s this “Hatsune Miku…?” OMGOMGOMG! Her songs are awesome! Must download EVERYTHING!!! 2008: Oooh, now other people are singing Vocaloid songs, too! And they actually sound better than the original! On the bright side, my MP3 player ain’t too swamped with Vocaloid songs as it was before, and being picky gave me my taste in music (believe me, I wasn’t a music-lover before I discovered Vocaloid) and the skill to critique them. That’s why I’ve been reviewing the WVR ever since. However, at the pace I’m going right now, some of you guys might think that one day I might outgrow Vocaloid and move on. I assure you, that’s never gonna happen. Vocaloid has become a part of my life now, and I will bring it with me where ever I go. Ripping off of DK’s HTML example, because I’m lame like that. =P In order to avoid writing a whole novel here, I’ve broken my Vocaloid journey this past year into bite-sized segments that can be taken alone or with food. Onward! Then, I discovered on my own a cover of Seikan Hikou being sung by Kaito. I thought, “This song sounds familiar… oh, it’s from Macross Frontier! Wow, this guy’s a good singer. Then, a different online friend linked a tegaki video of World Is Mine. At very beginning, I thought it sounded weird… like ‘clippish.’ Wait, was that that “Miku” character I’d been hearing about? At this point I should note that I *KINDA* knew what Vocaloid was, but I thought the program was only used to sing covers of existing songs. I had no idea people were creating original songs with the program. When searching and searching in vain for an “original” version of World Is Mine, that was when I learned that the world of Vocaloid originals existed. Thus began my journey. I went through many stages, experienced all the highs and lows. I went through a small “Kagamine only” phase where I would only listen to songs by those two. To be fair, Len was my first Vocaloid. At the beginning, I hated the thought of UTAU (ripoffs, I called them). Then I heard Yurika Sayu and I did a one-eighty– I loved UTAU and the thought of UTAU, and only listened to UTAU for a while. Discovered utatte mita, and liked it for all of… one or two weeks? Discovered MMD and odotte mita, and still love it. Went through a phase of only listening to Vocaloid songs that sounded “realistic” (i.e. with as little ‘clipping’ as possible), then went through a phase where I only listened to Vocaloid songs that sounded really catchy. Eventually reached a happy medium. Listened to Luka song after Luka song when she was released; listened to Gumi after Gumi song when she was released. Discovered NND and learned that youtube sucked in comparison. Discovered English Vocaloids; at first I didn’t like them, then I grew to like them. (I thought Sweet Ann was the coolest. Now it’s probably Big Al though!) Discovered fanmade Vocaloid characters. I like Haku but still hate Neru. Discovered the Weekly Vocaloid Ranking and thought it was the coolest thing ever. And finally, I discovered Vocaloidism, and no longer had to long for a Vocaloid-related place to call home. This year has really been a learning experience for me. Vocaloid is probably the most varied and the most fun fandom I’ve ever been obsessed with, and I’ve loved every minute. I’ve laughed (「彼氏の財布がマジックテープ式だった」, 「脱げばいいってモンじゃない！」), I’ve cried (ココロ, Last Night Good Night, カムパネルラ), I’ve experienced drama through shipping wars (I support no ships as of right now) and whether or not the twins are actually twins (they can be whatever you want them to be, guys). Well, I am a late fan when Vocaloid is concerned (in fact even a bit later than deztora), an introduction to Vocaloid videos on YouTube such as “Ievan Polkka”, “Caramelldansen” and “Kurutto, Odotte, Hatsune Miku” by my friend back in end of December 08 has got me interested in Vocaloid as I went in search of more information and songs relating to Vocaloid and before I know it, I am a Vocaloid fan ever since. For the first few months I went around sites like Kazenomize, Kyouran Kyodai, Mikufan.com and Vocaloidism as well for my fix of Vocaloid news and information before moving on to sites like Hatsune MikuMiku and others. It was then in early March that I decided to start a small Vocaloid news blog of my own and looking for a Vocaloid community in which I could join and be a part of. I eventually joined Vocaloidism forums and was surprised when Kevin asked me through PM whether I would like to blog on Vocaloidism. I thought it would be good to learn more about blogging and accepted the invitation. Over the months I have indeed learnt a lot about blogging, about Vocaloid in general and it has been an enriching experience for me, especially when I get to listen to wonderful Vocaloid songs which I like and enjoy a lot. And that stretches all the way till now. I am still learning about Vocaloid at the moment and I probably still have much to learn, so I am hoping to look forward to more advice and guidance from fellow Vocaloid fans, especially those who have been around longer and knows way more than me. Hopefully year 2010 will continue to be a great year as far as Vocaloid are concerned and I will be gladly looking forward to that as another Vocaloid fan around. Finally, it falls to me. My origin story is boring and is 2008, so it’s irrelevant, too. Instead, here’s a fun history lesson. 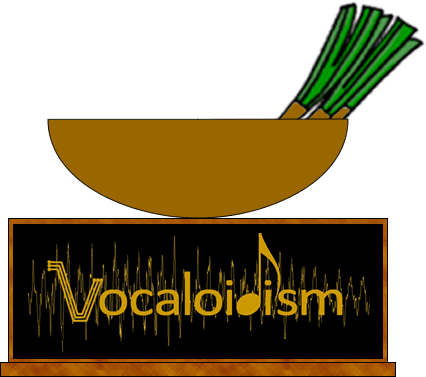 On January 1, 2009, Vocaloidism had 234 views. Post #2 (whatever it was) had 13 hits, the NicoNico account tutorial and MMD 3.21 article each had 8, and a Luka demo song article had 7. On December 1, the blog had 2,699 views, and sixteen articles had at least 13 clicks. In the last 2 months, Vocaloidism has gotten over 90,000 hits. On average, someone or something points their browser to this blog once every 50 seconds. Saying the blog exploded in 2009 is a gross understatement. So what does it all mean? It means that all of you reading this actually care about what we say here. Whether it’s about chart-topping tunes, video games, software, merchandise, controversy, astronomy, or anything else remotely pertaining to Vocaloids, you come here for that information. And that’s really awesome. There are way too many people to thank for this blog’s success, but it definitely could not happen without all of you readers. You help keep us going (hell, these awards ran on your votes) and inspire us to work as hard as we can to give you all the Vocaloid news you want, and it is you who I owe the most thanks. I hope that all your wishes come true in the new year, and even if they don’t, we’ll still be here, reporting from the true center of the English Vocaloid community.
. . . Aww. . . how did Just be friends beat Magner and Romeo To Cinderella?. . . The song sounds so "meh. . ." and typical, i didn't even download it. . .
No, i don't want to flame or anything, as i am not a troll, but come on, the comunity really like this song that much?, as i started to belive in conspiration-like things. To be honest, I think… yes, the community DOES like the song that much. As much as I've listened to it (and believe me, I've been listening to it regularly since it's RELEASE), and I'm still not tired of it? That's some music magic at work there. I have a tendency to be kinda ADD when it comes to songs (songs can only hold my attention for so long), but JBF was different. There is just something about it. …of course, I voted for Para, but let's not get into that. My experience with Vocaloid is very similar to DK… Sadly nowadays keeping up with new vocaloid songs has become a bit of a hassle and a burden to keep on checking new vocaloid songs from NND uploaders in Youtube. Nowadays I'm more into Utatte Mita just like DK. I wonder why this is the case… Is it because new Vocaloid songs are just not as good as their older counterpart? (I honest believe this is NOT the case although listening back to Melt, Kokoro, Meltdown, etc it is kinda hard to "top" those classic songs) Or are there other reasons for this? I remember on my "peak interest" with Vocaloid, I could download at least one new song every week (I was a bit picky…), but nowadays on average I only DL new song every 3 weeks or so, maybe even a month… But as DK aptly said, there is no way I will stop listening to Vocaloid songs, it has indeed become a part of my life too. Really like to know whether other long-time Vocaloid listeners feel the same way or not. YAY COMMENTS WORK. I was pretty close on my predictions. I had feeling Sonika and Yuki wouldn't have votes and said so as well. I also was inspired to start my own spin off of vocaloid awards on my Twitter. >_< Really interested in Vippaloid covers and duets and best non vocaloid song LOL just a stupid nerd am I. Anyways. I enjoyed this and look forward to hanging out next year with you all as well. I had an odd story. My first experience with Vocaloid was, oddly, in the Lucky Star OVA, in which Kagami gets turned into Miku by Konata. I laughed at it but I didn’t get the reference, and I didn’t even know what Vocaloid was. At first I hated it. Why not sing yourself? Why rely on technology? And so it was almost a year I began to appreciate it. I still remember the date (June 30, 2009; I remember being all shocked because I was all, “Gumi came out on my birthday? I was out with karaoke with my friends and Gumi came out?” Ironic). The way this was done was that I was doing a Lucky Star fanfiction collaboration (why does this always go back to Lucky Star?) and my partner in writing, Akai-Kurenai, made a reference to World is Mine, which a reviewer identified. I looked it up to see what Akai meant. From then on I went into a Vocaloid craze. I appreciated almost every Vocaloid equally, except Gumi, who had to grow on me a bit. I also found the Weekly Vocaloid Ranking. My friends recommended songs to me, and usually I focus on one song to obsess on for a while. It was Cendrillon for a while, then Alice Human Sacrifice, then Honey, then so on and so forth. I was into the Evil series’ plot, but I never really got to appreciate the songs themselves (mainly due to Akuno-P’s poor editing; I actually prefer the velvet mixes to the original). Right now it’s 1,4 chemical shouta-ness. I Love the song "Just Be Friends"!! =3= one of my favorite songs! !